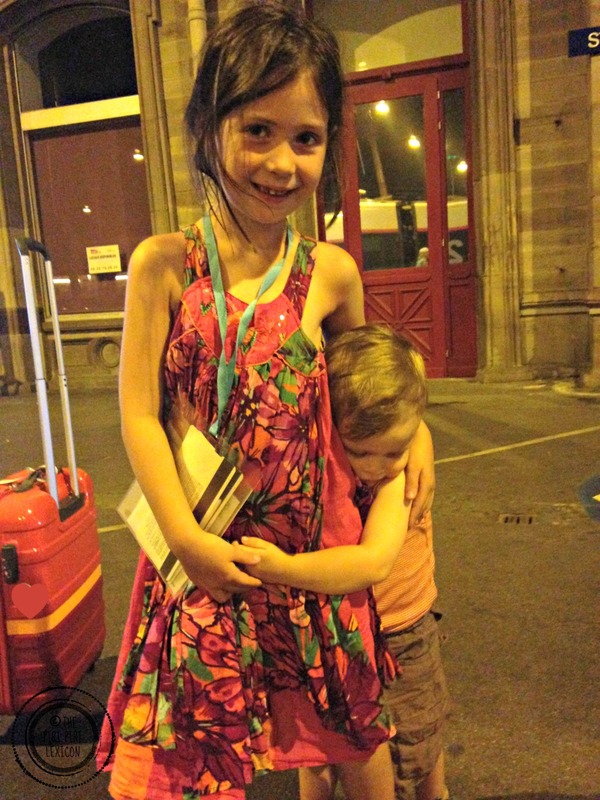 Last week, our 6-year-old returned, alone, from her stay at her grandparents (in France). She wasn't technically alone though. She just didn't have anyone she knows with her. 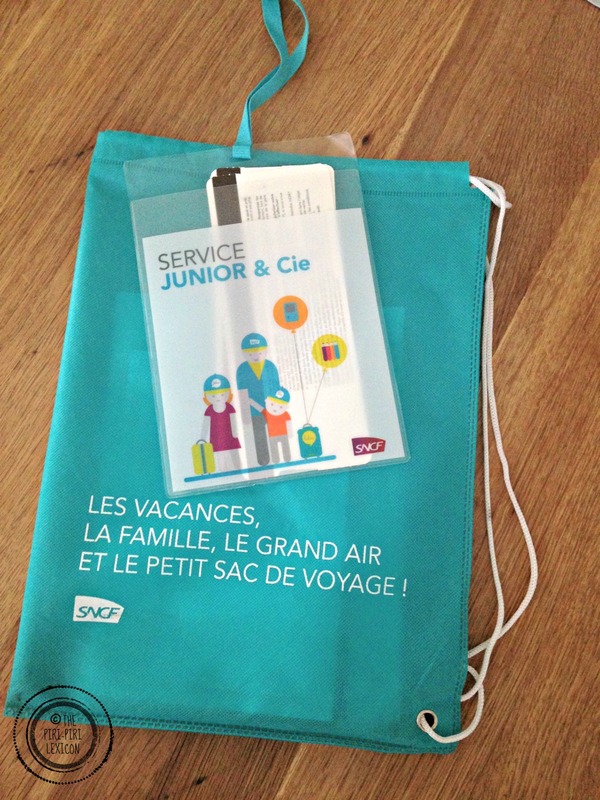 We tested the unaccompanied minor service offered by the French railway system, called Junior & Cie. It seems to be quite a popular service where families up and down the country send their children by train to spend time with relatives. 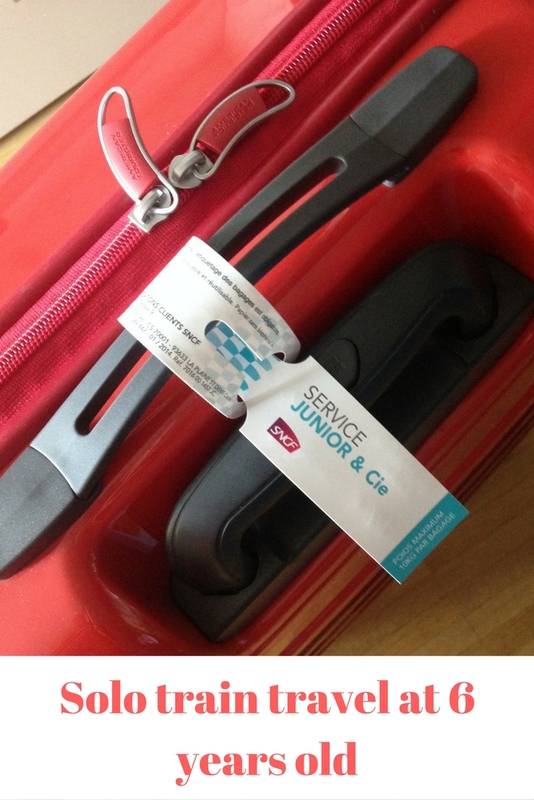 This service is only offered at the weekends and during the holidays. And there is a lot of demand for it. So booking early is absolutely necessary. There are only a very limited number of places on selected long-distance high-speed trains (TGV). The service costs from 35 Euros on top of the train ticket. You can book single legs. And, very importantly, you can cancel up to 4 days before the trip and they refund you in full. This is so important with little kids who may change their minds. Children from 4 years old can travel that way. 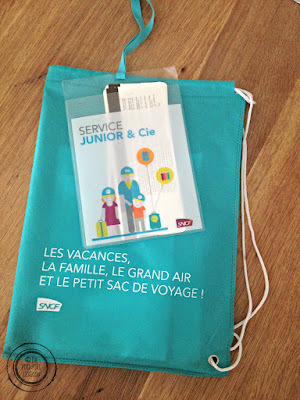 If you book more than one child on the same journey, the price gets cheaper. 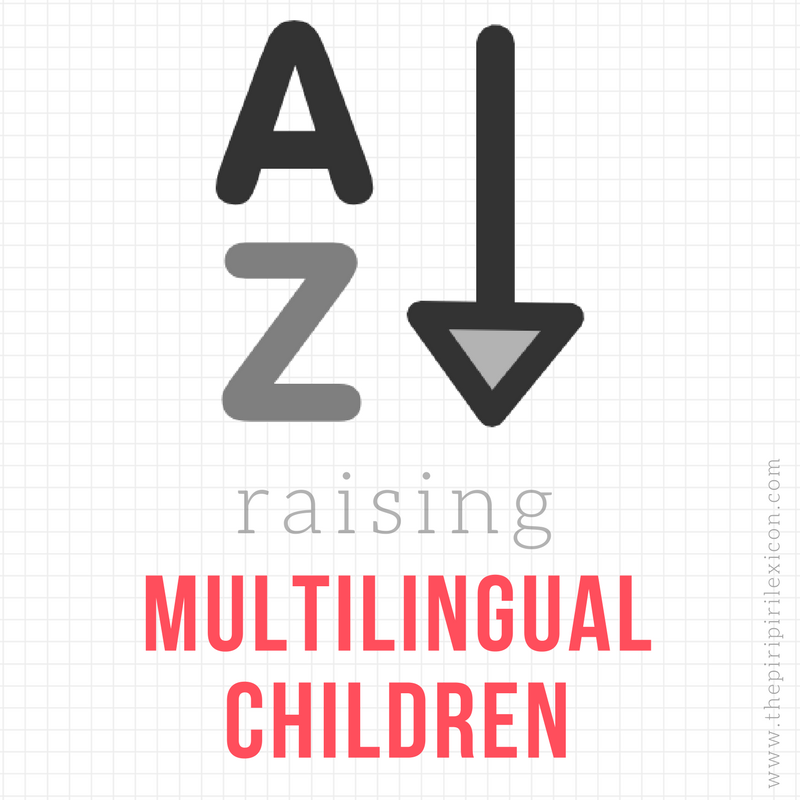 Children are accompanied and supervised on the journey by a qualified person. There is a diploma associated with camp counselling in France and this is what these people have. The journeys are limited to France. However, they also go to Geneva (Switzerland). You can see the map here. Of course, you stipulate who drops off and picks-up the child and everyone has to prove their identity once the day comes. After talking to her about it, making sure again and again that she wanted to do it, we signed up for it. She is a keen traveller but has never done it by herself so far. Papy and Mamie (her French grandparents) were happy to do it that way too. So we would drop her off in France and she would come back alone. We would pick her up in Strasbourg, France (about an hour from where we live). On a very hot Friday afternoon, Papy and Mamie accompanied her to their closest major train station. She was ready to check-in. Unfortunately, there was a major hiccup because the train in question was going to be delayed at departure. A serious incident on the track had meant the train had had to make a major detour. 3 hours later, the train finally turned up and she was handed over to the person in charge with the appropriate paperwork. On a very warm Friday night, around 23:00, over 3 hours later than planned, I was waiting at Strasbourg train station with a tired toddler. 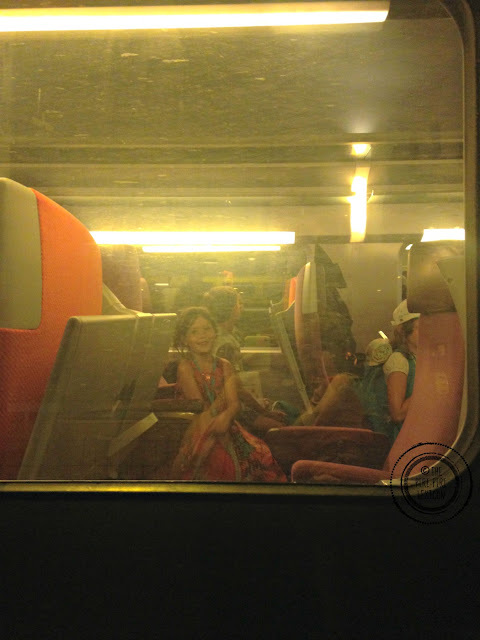 The train finally pulled up and we saw this little face in the carriage. She was very happy. Really proud of herself for having done it. I asked if it had been too long. "No", she said. Only the wait at the station had been. But she had had fun with Papy and Mamie while they all waited. She mentioned a couple of games and activities the lady in charge had occupied the kids with. 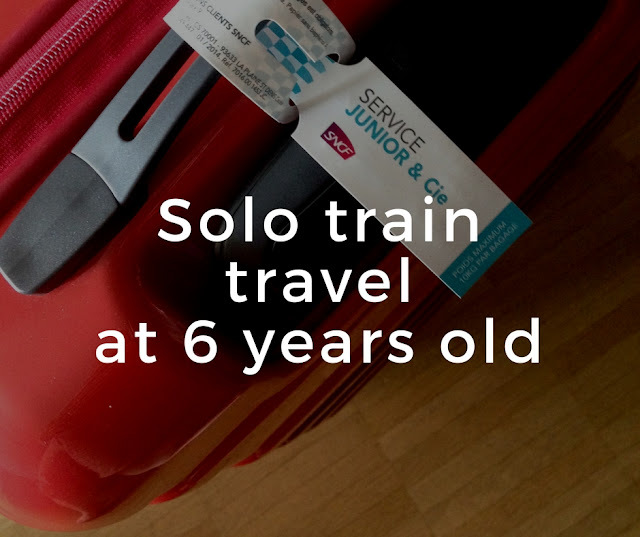 There were about 10/12 children travelling solo in that particular train and two adults supervising them. All-in-all, despite all of the adults' anxiety (you can't imagine the amount of texting that happened between France and Germany on that day), she loved it and will do it again. I am so proud of her for doing it. So proud of my eager traveller and independent little big girl. I'm so glad she didn't get put off by this experience. It's a very convenient service and it's good to know she'll do it again! Congrats to her! Fantastic opportunity. I wish they had this in other places. Thank you for sharing this adventure. Her happy face is a picture! Something to ponder for our girls. This looks amazing. I have been wondering about this but was worried about the stops between the start and end point. I may be less cautious having read your article. Thank you. There is no way they can get off. The people taking care of them are always there. Even at the final stop, they were not let off the train without the parent signing a piece of paper and showing an ID.